Practical training to improve health & energy with the focus on creating a healthy mind and healthy body. Invaluable for anyone with a demanding job who wants to enjoy consistently high energy levels and feel great. This seminar provides practical tips and ideas to improve health and energy. The focus is on creating a healthy mind and healthy body amongst your employees. It is invaluable for anyone with a demanding job who wants to enjoy consistently high energy levels and feel great. The style is informal, relaxed and fun, using accelerated learning techniques, and involving both individual and group activities. You will leave with information to use immediately at work, to make a positive difference in the health of your organisation and your personal life. Energy and well-being audit, understanding your body clock and personal energy times of the day, the mind/body connection, creating endorphins and positive thoughts. Importance of water, healthy snacks, food to stimulate the brain and relieve stress, power lunches, fruit and vegetables, energy food. Your ideal work space, recharging and relaxing space at home and work, the importance of plants, lighting, sound, colour, artwork and good ventilation. Managing your work/life balance, hurry pattern, monitoring your pressure valves moments to relax, creating spare reserves, contingency and survival tips. Creating positive energy, your personal energy enhancers, the new energetic you! These seminars are ideal for training employees to proactively manage their well-being. The training can take place in the working environment or off-site. They help employees experience increased energy and effectiveness. 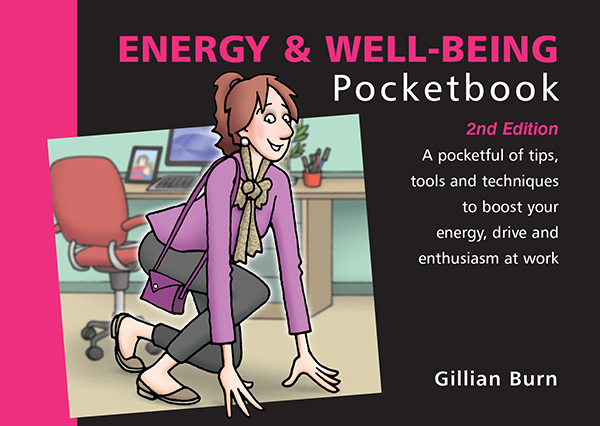 The Energy & Well-being Pocketbook will get you in shape, show you how to work more healthily and boost your drive and enthusiasm. 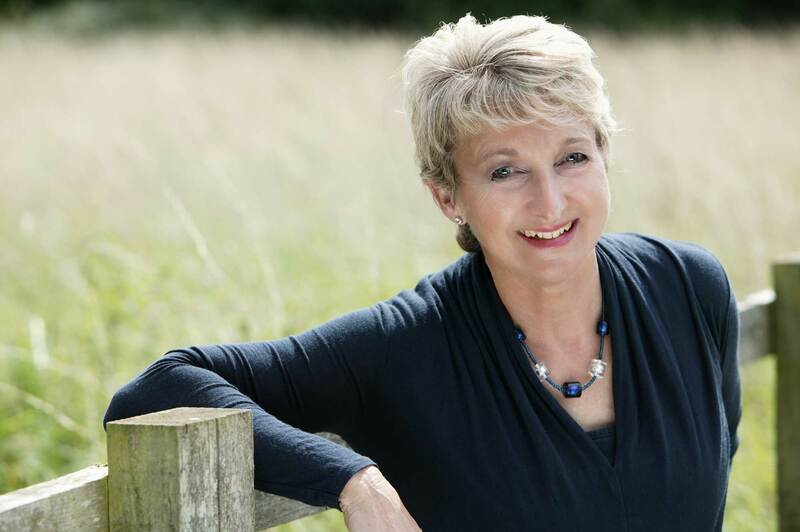 With a background in the health sector and a Masters degree in exercise and health services, author Gillian Burn begins by demonstrating how to carry out an energy and well-being audit to establish personal well-being goals. What we eat and the space we work in are key to boosting energy levels. The author describes how food can stimulate the brain and relieve stress, and how plants, colour, sound and lighting can contribute to the creation of an energy-boosting environment. Nor should physical exercise be ignored. There is advice on poise/posture, breathing, energy-boosting breaks and a range of activities including desk exercises. Finally there are sections on work/life balance and on how to create a well-being and energy action plan.